NATIVE EXTRACTS' innovation in CELLULAR EXTRACTION uses Biomimicry to deliver the first 'True to Nature' Quandong extract, delivering its full plant profile of water-soluble phyto-actives, as they exist in nature – potent, active, synergistic and bio-available. 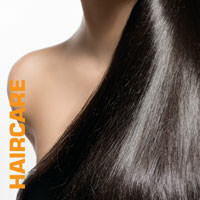 Cellular Extracts are naturally multifunctional, and the Quandong offers an impressive range of phyto-compounds that target multiple cosmetic applications. The desert Quandong is a unique Australian fruit found widely throughout the deserts, and semi-arid areas of Southern Australia. It has striking, shiny red fruit approximately 15-25mm wide. Often referred to as it's Aboriginal name - 'Goorti' (Nurungga), or 'Native Peach' and has been used by Indigenous communities for centuries. Recently recognised by the cosmetic industry for its powerful bio-actives and benefits delivered in this Cellular Extract, and leveraging its stunning imagery for a new point of difference. 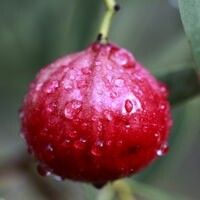 NE Quandong Cellular Extract for Haircare.